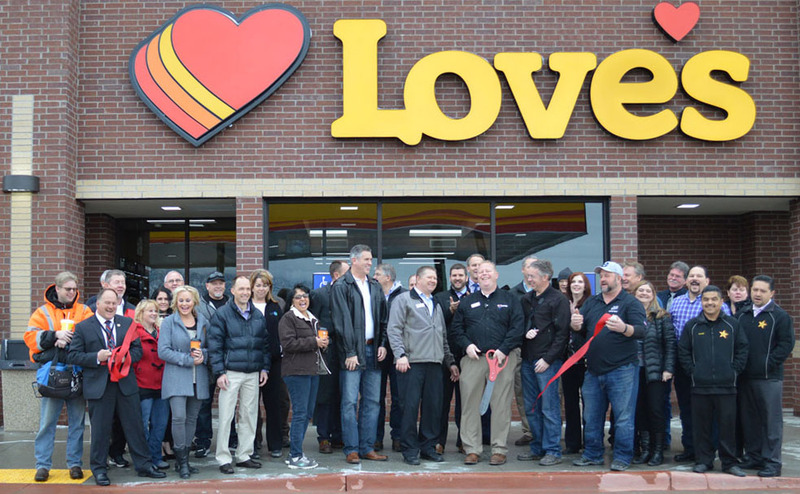 Several Brigham City and Box Elder County officials were on-hand Thursday for the ribbon-cutting ceremony at the new Love’s Travel Stop on West Forest Street. After the ceremony, Love’s district manager Shawn Fowler and general manager Chad Hinds presented a check for $2,000 to the Northern Utah Boys & Girls Club. The new store is open 24 hours a day, and offers gourmet coffee, fresh fruit, gift items, Subway and Carl’s Jr. restaurants, 18 fuel pumps and more. The 13,000-square-foot travel stop also provides services for professional truck drivers including 94 truck-parking spaces, seven showers, a Love’s Truck Tire Care center, nine diesel fuel pumps and other amenities for professional drivers. The Brigham City Love’s is the company’s fifth location in Utah.